Pandora Thomas is a passionate global citizen who works as a caregiver, teacher, writer, designer and speaker. Her work emphasises the benefits of applying ecological principles to social design. 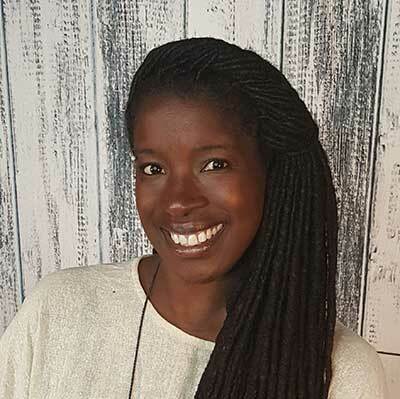 Her most recent projects include co-founding the Black Permaculture Network; working for 6 years with Toyota on the Toyota Green Initiative; co-designing, teaching with and directing Pathways to Resilience; and co-founding Women Designing Resilience, a re-entry program for women returning home from prison. Pandora has lectured on topics ranging from diversity, social justice, youth and women’s leadership, social entrepreneurship and sustainability. She has taught groups all over the world as diverse as Iraqi and Indonesian youth, to prisoners in US jails. Her writing includes a children’s book, various curricula and a manual entitled “Shades of Green” for individuals wanting to teach green building to youth. She has studied four languages and lived and worked in over twelve countries, featured in the films The Future of Energy and Inhabit, presented at Tedx Denver and SF, and been awarded internships and fellowships to Columbia University, Green For All, the Bronx Zoo and the Applied Research Center.